The SAC3122Q4 is a wideband medium power amplifier which operates between 1MHz～3000MHz. The amplifier provides 25.5dB of gain,30dBm P-1dB power and 40% PAE from a +10～+12V supply voltage,making it an ideal driver amplifier for high efficiency applications. 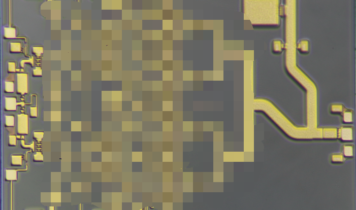 The backside of the die is both RF and DC ground, simplifying the assembly process and reducing performance variation.